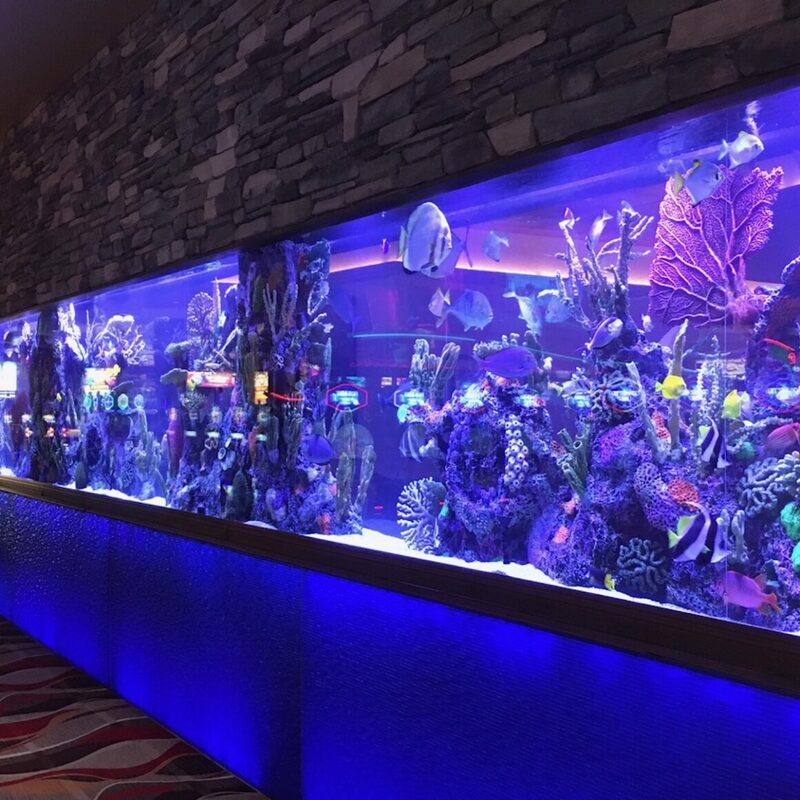 CA Custom Aquariums handles any aquatic custom aquarium job that our clients can imagine! It’s that simple. 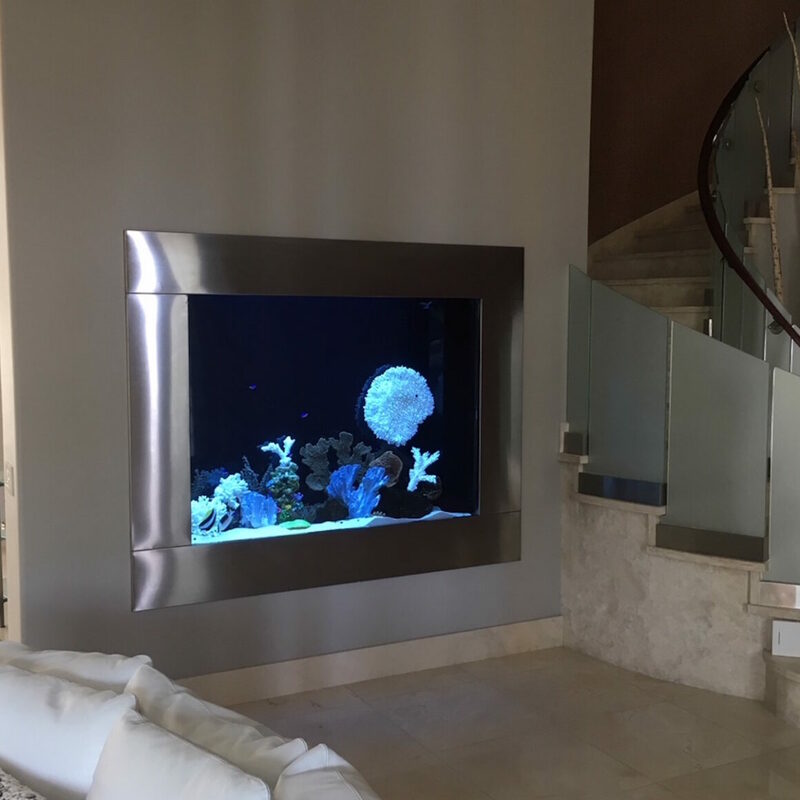 Whether it’s a fifty gallon tank above your fireplace, or a five thousand gallon tank with water features next to your pool, the aquarium experts assist you the entire way. From design to commercial and residential installation our technicians provide elite discreet service to all jobs that they complete. Unlike other companies in the area, we offer discreet service with fast turnaround times. We take our client’s privacy very seriously and fully understand the importance of discreetness in this industry. With hundreds of custom jobs completed since our inception in 2010, you will be certain that our technicians have the technical skills to take your custom job to a reality. For a free quote for a tank offered by CA Custom Aquariums, please click here. If you have a wine cellar in your home and want a peak into the space panels can be used to create a see through hole in the specified area. We can make acrylic panels for staircases leading to and from your cellar. Custom made to fit your dreams our acrylic material is of the highest grade and provides a one of a kind experience for any wine cellar owner. We are adept in building with acrylic and frequently use our expertise outside of aquariums. Our expert designers and installers create custom acrylic display cases. Perfect for displaying sports memorabilia as well as organizing family photos and virtually anything else, we design and meet any plan you have in mind to match the custom case you’ve always desired. Looking for a custom coffee table that has acrylic transparent panels to view special belongings or books? Better yet ever thought about a fish tank custom coffee table with multiple viewing angles? With our services we create custom sized coffee tables that offer completely different perspectives to living areas. Add a completely unique and custom piece to your home with the addition of a custom coffee table.